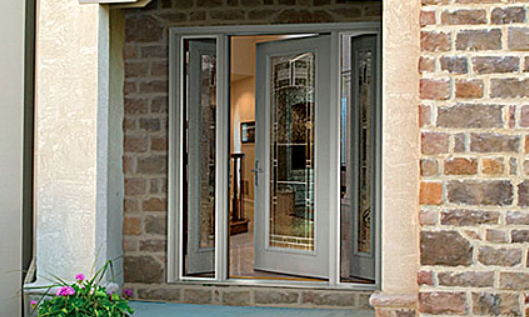 When you need the perfect storm door solution for your home, Home, Door and Window Products is your first choice. We will explain all the details, offer knowledgeable suggestions to personalize your security storm door plan, all at an affordable price. Home and Door has been the leader in the storm doors industry for over three decades, we know what our customers expect, and we deliver! Built with the quality and craftsmanship that you expect and a wide variety of style options to enhance your entryway and complement your home is what you get with Fox storm doors from Home and Door. The city of Novi is located approximately 25 miles northwest of the center of Detroit and 25 miles northeast of the center of Ann Arbor. With a population of just over 55,000 residents, the city of Novi in Oakland County, Michigan has many satisfied storm door customers of Home and Door. Providing durable Fox storm doors and security storm doors to Novi and the surrounding areas has been our pleasure for over 30 years at Home and Door. We are well known in the Novi area for our extensive selection of Fox storm doors and storm door options, as well as our excellent customer service team. At Home and Door, you will find the stylish and durable Trapp storm doors for your home that will create a welcoming and beautiful entrance. Made from the most durable materials in industry standards, our security storm door products will stand up to the harsh Michigan weather. Storm doors are in high demand and Home, Door and Window Products has the extensive supply to meet that demand in style. Check out our showroom today then call us to schedule your security storm door installation. In the Novi area, call (248) 399-9900 today to get started!